The wait is over. Sixty two days after sacking Steve King the Macclesfield Town board have finally confirmed his replacement, with the announcement that club legends John Askey and Efe Sodje will take over the roles of manager and assistant manager respectively. It truly is a managerial “dream team” presuming your slumber is met with visions of a rather underwhelming job appointment. In fairness it could have been worse. At the start of last month the media was convinced that Robbie Fowler would be the next boss at the Moss Rose – a gamble that seemed positively demented given that the last risk taken on putting someone unsuited in charge had failed and a calm hand to steady the ship seemed like the smart option. Fowler would have been anything but given his lack of experience and lack of knowledge of the English lower leagues. Indeed it was hard to see the interest in the former Liverpool striker as anything other than a way of drumming up some publicity and getting the Macclesfield Town name in the papers rather than being what was best for a club desperate to avoid a fate similar to neighbours Stockport (and we all know what a sterling success their appointment of a former Liverpool superstar was). That’s not to say Askey is an entirely popular choice with all supporters or that the Macc board haven’t done damage in the way they have handled this scenario. It is clear from the amount of time it took to announce the appointment that John and Efe were not the first choice, especially so given the earlier flirting Jon Harris publicly did with Fowler. 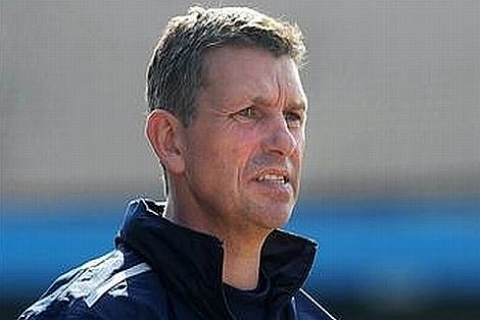 Askey’s previous experience at the helm hardly does him many favours too – his original time in charge in 2003 saw him removed a little over five months later and with the Silkmen facing a relegation battle that subsequent boss Brian Horton managed to steer them clear of. His more recent spell as caretaker boss following the sacking of King saw him earn three points from a possible fifteen whilst conceding fourteen goals along the way. The sort of stats that hardly fill you with confidence. In his favour he truly is a legend at Macclesfield due to a playing career than spanned three decades and saw him make almost seven hundred appearances. That alone will buy him time and hopefully keep even the most disgruntled fans from voicing their displeasure too loudly in what is likely to be a difficult season for the Cheshire side. Also he knows the club inside out and his experience with the first team last season and subsequent relationship with them will be of benefit too. Despite the loss of certain players (the excellent midfield duo Wedgebury and Murtagh have departed for Football League clubs whilst striker Fairhurst has joined Lincoln) he still has the crux of a decent team here which, if he can keep it together and add a few faces along the way, should be able to hold their own in the Conference next season. 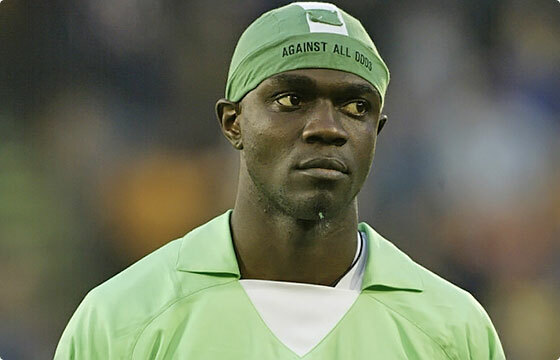 As for Efe Sodje, the cynical might think his inclusion is just a sweetener because the announcement of Askey alone wouldn’t have been exciting enough for fans who have waited impatiently for months for managerial news. That would be to do him a disservice. Sodje has been involved in the coaching side of the game since 2008 when he took on a player-coach role at Bury and his vast experience (including a World Cup appearance, lest we forget), combined with an affinity for a club who took him to their hearts following his role in their first experiences of the Football League back in 1997, could see him play an important role in how the Silkmen go forward from here. What is clear is that stability is key to the future of Macclesfield Town football club and John Askey seems the man best suited to that task. No other manager would be tolerated by the supporters in delivering a mid-table position but, considering the tough job in escaping the division and the loss of parachute payments this year, that very well may be the best they can expect. I just hope they can accept that because otherwise another boss forced out could lead to the Conference North, the club going part time, and even possible extinction.